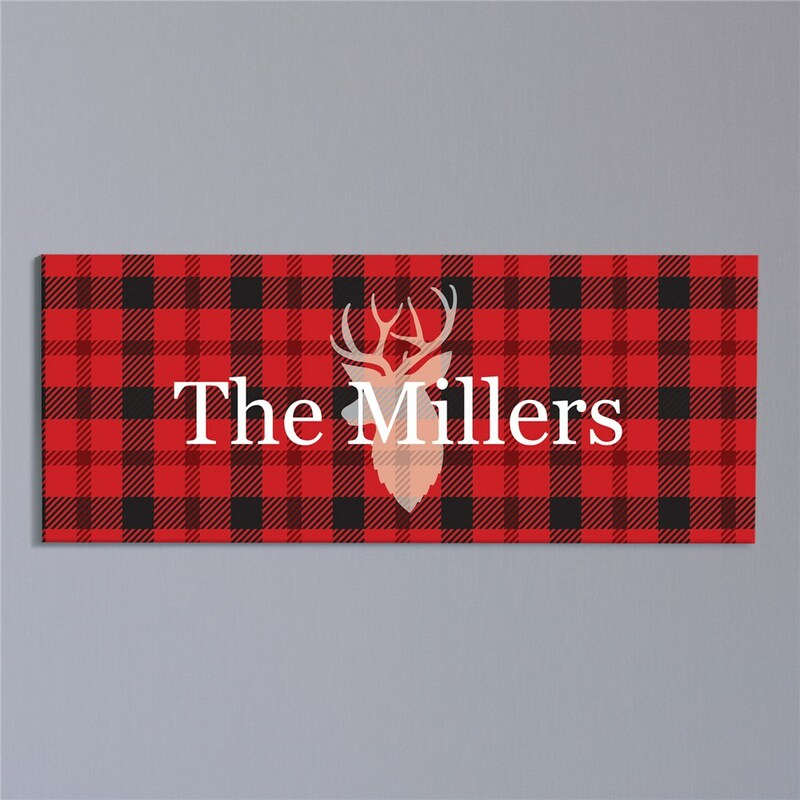 Expand your Personalized Rustic Wall Decor this season with our Plaid Deer Wall Canvas. Personalized Christmas Decorations like this charming sign include any custom message line. Makes a great gift for the holidays or add to your Christmas Decor!